— The best seats in the house — By the staff of Dirt Wheels. — There are some off-road enthusiasts who spend a lot of time behind the wheel of a UTV, like us at Dirt Wheels; we have logged a lot of hours driving UTVs. One of the biggest things we’ve noticed is that the OEM seats can become uncomfortable, or your body moves around quite a bit depending on the model and terrain that you’re in. Whether you notice it or not, fatigue can strike when you are sitting in a seat for so long. Some of the best UTV rides we’ve enjoyed were in UTVs with aftermarket seats. We experienced less shifting in the seat, better posture and less back pain. Some aftermarket seats offer bolstered sides, better foam, more comfortable material, non-slip material and having suspension-style seats are a dream for your backside. 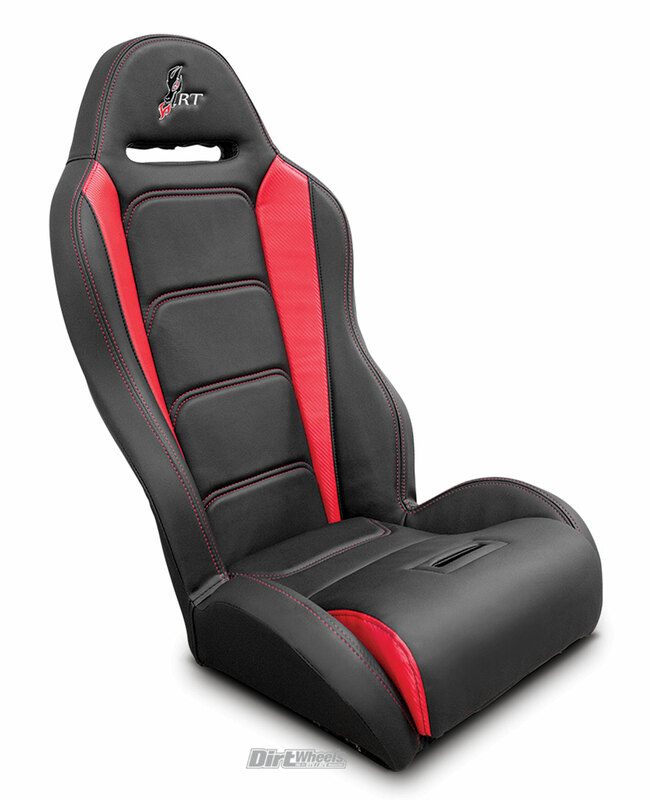 Here’s a list of aftermarket seats and what options you have so you can feel the difference for yourself. 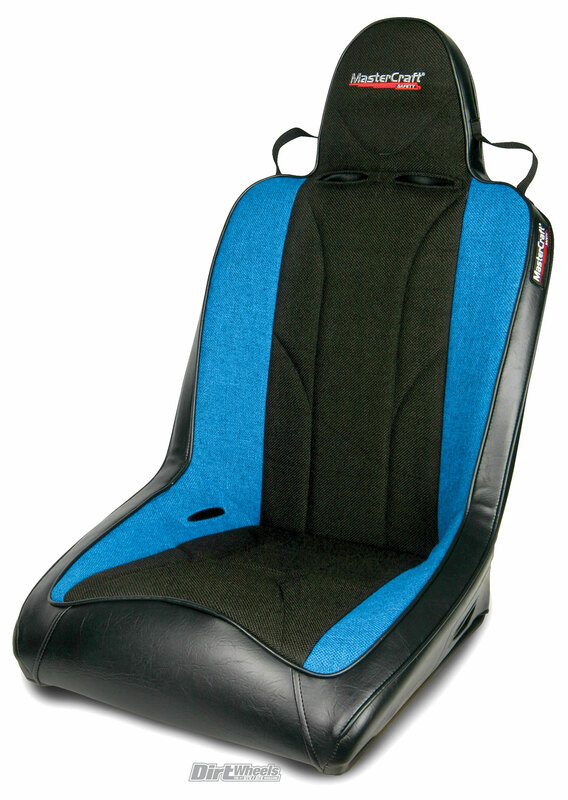 The new G-Force suspension seat has several advanced features, such as the easy pass-through belt slots with optimal lap-belt positioning for easy install or removal of your harness; multi-density foam for less driver fatigue and lumbar support; powdercoated frame for anti-corrosion; and a nice finish. It also features the easy-release handle for quick access to the under-seat storage or battery tray. Another key feature is the sand drain, which allows water and debris to fall through the bottom of the seat. The seat was designed to fit any size passenger up to a 48-inch waist. 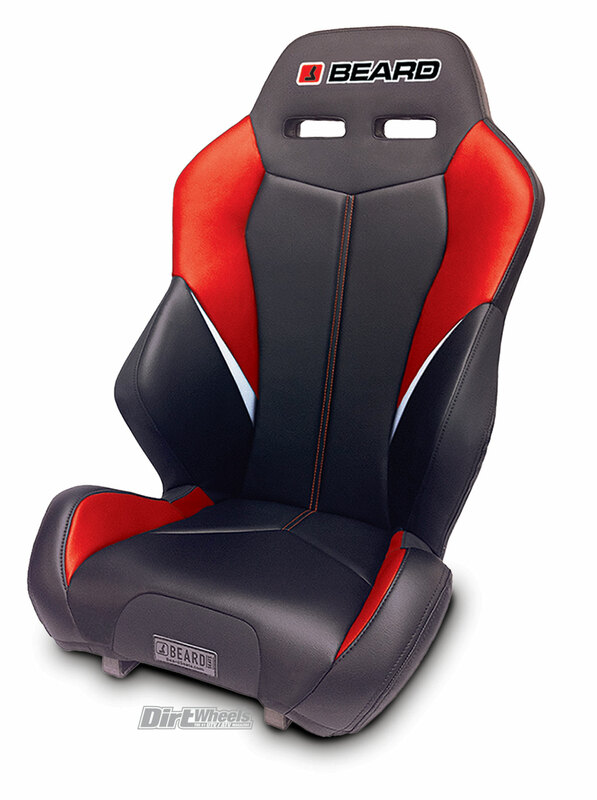 Pro Armor offers other seat models starting at $429.95. DragonFire’s HighBack RT suspension seat is their newest model. 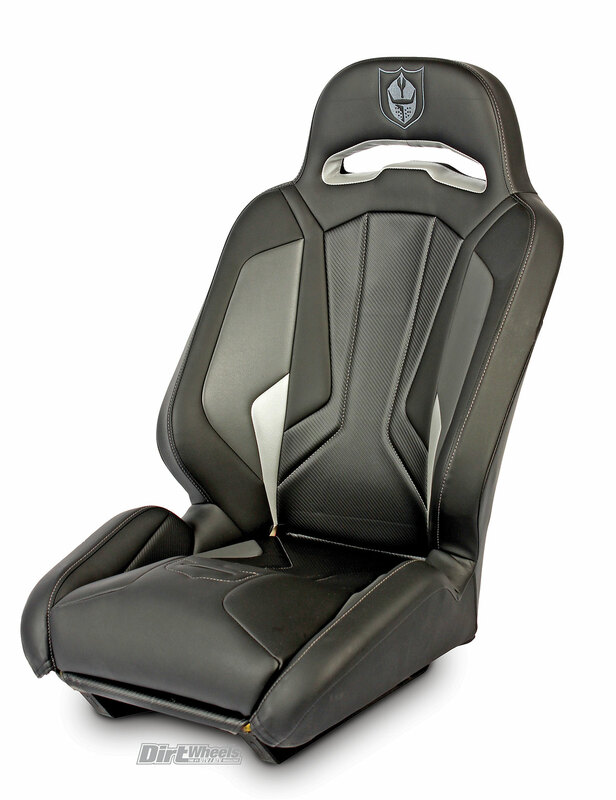 The bottom and side containment, height of the back, and headrest are all designed for comfort. The deep-bucket design makes it so that you sit in your seat rather than on it. Heavy-duty construction, a suspension-style frame base, a vented rear section and a removable seat cushion make up the RT seat. They bolt directly to the OEM base plates and work with the OEM sliders. DragonFire offers other seat models starting at $399.99. Sparco’s Pro 2000 combines comfort and ergonomics with safety and performance. 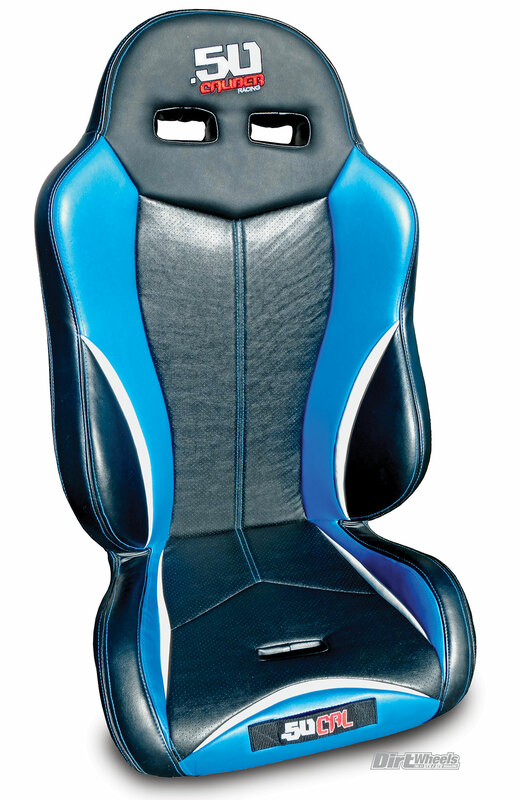 The non-slip fabric on the shoulder and cushion area and two lumbar support pads improve cockpit comfort. Made from a light fiberglass composite shell and wrapped in a fire-retardant fabric, the Pro 2000 features a seat design that cradles the body for greater performance. The Pro 2000 is FIA approved. Note: Mounts not included and must be purchased separately. 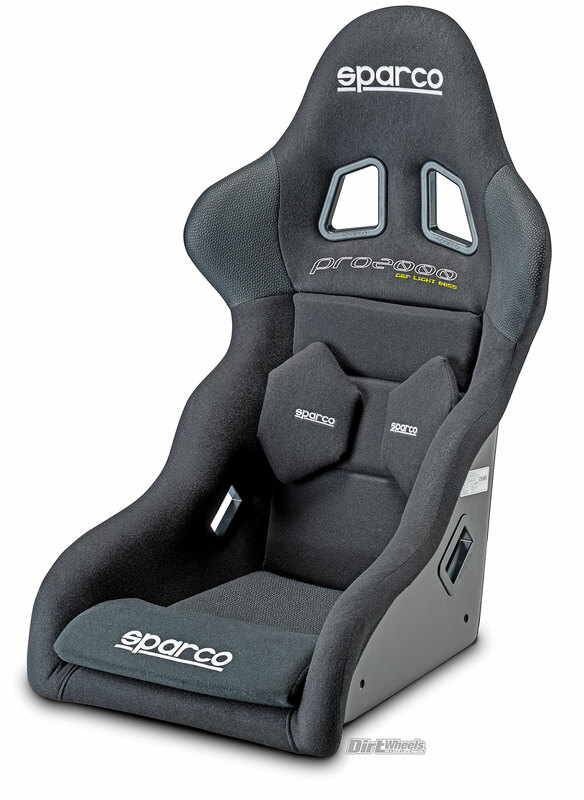 Sparco offers other seat models starting at $400. The FRP-300 is built from fiberglass. It offers great lumbar support and deep thigh bolsters that keep the driver firmly placed in the seat. It’s built with a steel frame and covered with comfortable injection-molded foam and woven upholstery. The FRP-300 works great with all harnesses. Each seat includes adjusters and mounting brackets. NRG offers other seat models starting at $249.99. 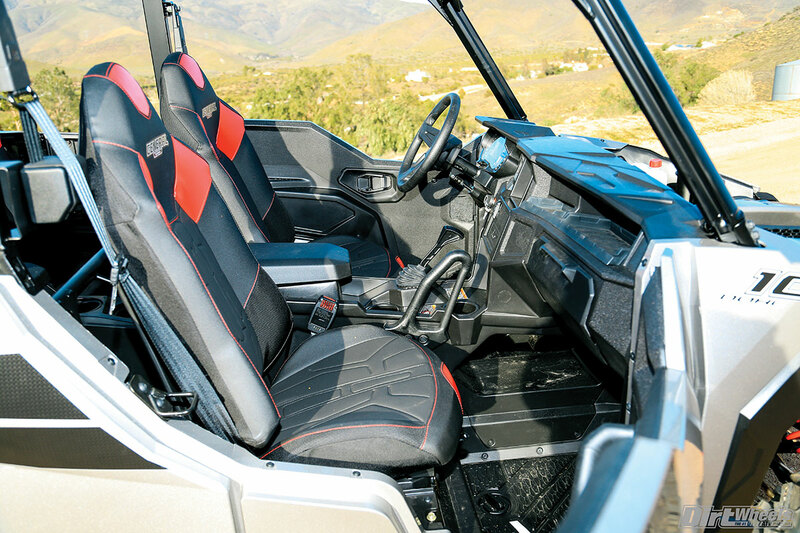 Mastercraft’s Sportsman suspension seat is a race-inspired off-road seat. It’s designed with a laser-cut, tubular-framed, three-quarter-rise bolster for containment; secondary suspension straps; and high-resiliency foam. 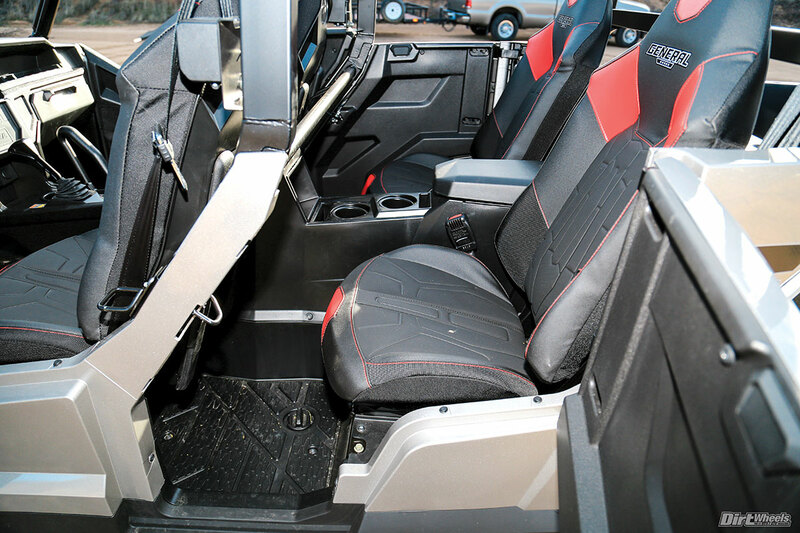 The Sportsman also includes five-point seatbelt slots with additional loops to secure harnesses in place. Additional options include adjustable lumbar support, electronic seat heater, rear seat pocket and a hydration reservoir pocket. The cost for these additional items can be found on their website. The seats are tested and validated to comply with applicable FMVSS. Mastercraft offers other seat models starting at $329.95. 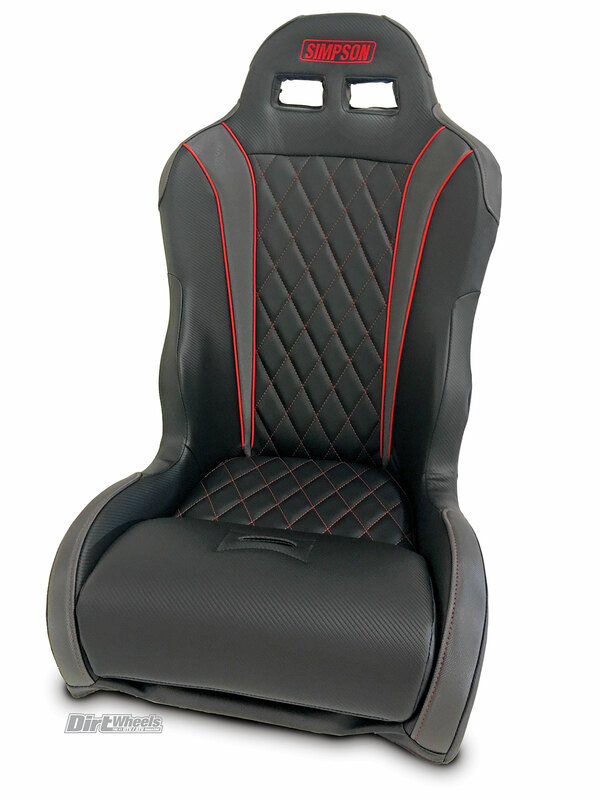 The Corbeau Apex seat is different than other seats, as it has an injection-molded foam that extends foam life. 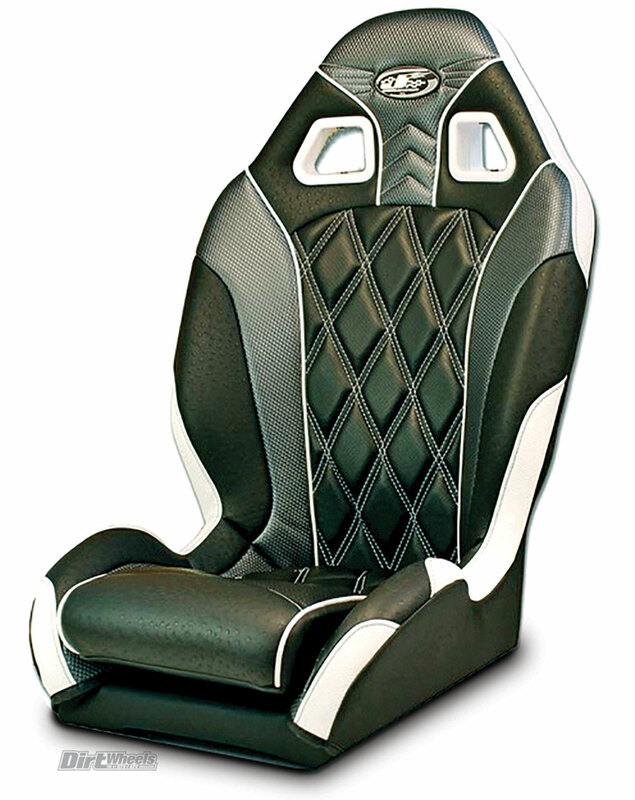 It utilizes custom plastic harness grommets that prevent premature wear and tear to the seat. The lateral bolster support was designed to eliminate body shifting while driving, and the carbon fiber vinyl provides more grip to the driver. These seats will bolt directly into a Polaris RZR, but other models will need a different bracket (sold separately). 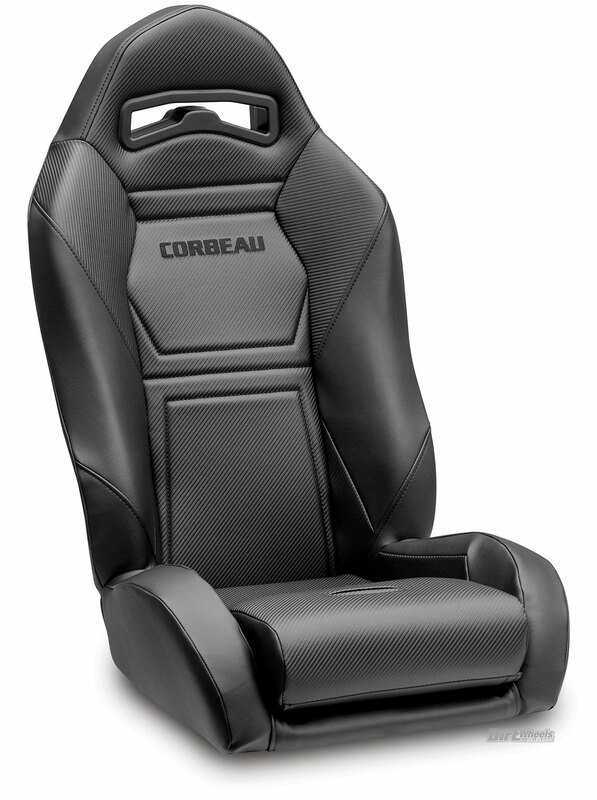 Corbeau has another seat named the SXS Pro that retails for $399. The XC suspension seat from PRP features a completely new frame and style, with additional areas for custom colors, increased lateral leg support, and contoured bolsters that allow you to use your stock seat belts. A standard mesh drain prevents fine debris, mud and water from collecting on the seat. Additional options include air-adjustable lumbar support, an electronic seat heater, rear seat pocket, front goggle pocket and a hydration reservoir pocket. The cost for these additional items can be found on their website. 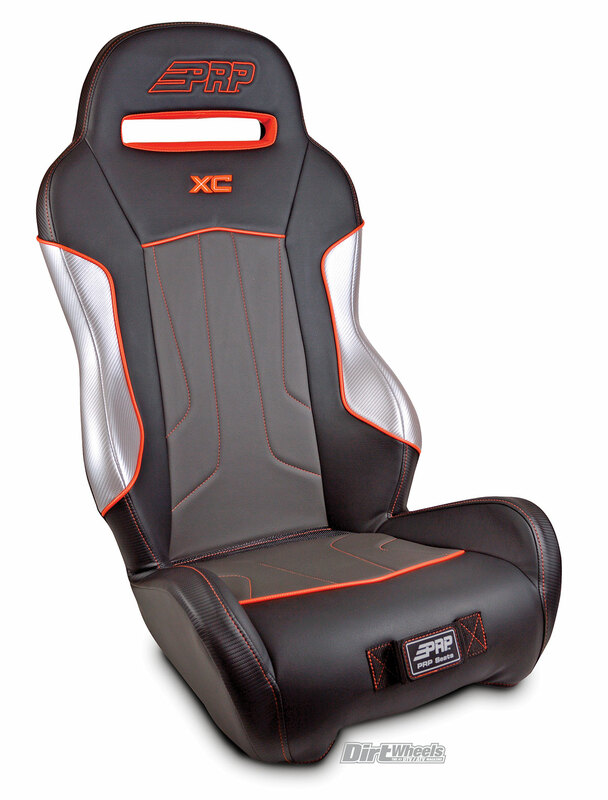 The XC suspension seat is compatible with most OEM seat mounts and sliders. It’s offered in a standard or wide option. PRP offers other seat models starting at $299. The Vortex suspension seat provides high containment while still allowing for easy entry and exit with its cutaway lower bolster design. It is designed to work with the factory slider without raising the seat height. The Vortex’s traditional tube-style frame is mated to a laser-cut seat base, which utilizes a variety of different modular mounting rails. Optional seat heaters and adjustable lumbar supports are available. Note: Mounts not included and must be purchased separately. Simpson offers other seat models starting at $325. The Torque seat is a full-suspension containment seat designed for performance UTV applications. 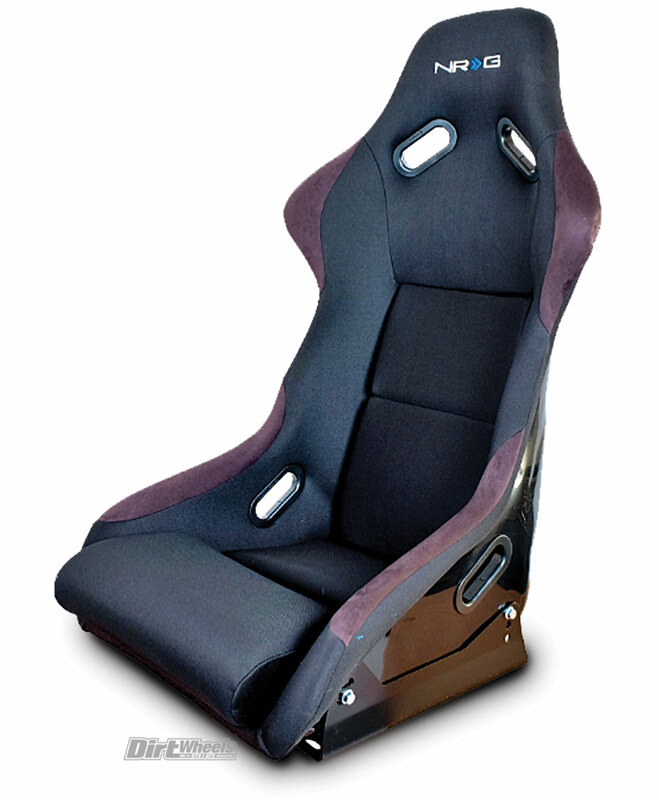 Much development and testing went into designing this seat to achieve the ideal seat angle and pitch. The lap-belt notch allows for easy seat removal and added comfort for larger occupants. The Torque seat bolts directly into all RZR and Wildcat models. Other mounts are available (sold separately). Beard offers other seat models starting at $379.99. 50 Caliber Racing suspension seats are constructed with a sturdy tubular metal frame wrapped with high-density foam that can withstand long-term off-road abuse. The seats come standard with an adjustable seat base that will fit most applications, harness slots and a five-point strap holder. They offer a wide body design and a perforated midsection for maximum breathing. The MC suspension seat offers comfort, support and style for Polaris RZR models. These mount directly into a Polaris RZR slider or non-slider setup. Other features include harness pass-through holes, comfortable foam, breathable material, bolstered sides, and it’s 2 inches shorter under the occupant’s legs. These will be available for other models in the future.